Everyone wants to land those big-budget accounts – but trying to catch the biggest fish in the sea isn’t always a sustainable route to success. So, even if you’re already an expert in the world of enterprise sales, you should consider stepping up your SMB sales game. SMBs represent a valuable, vast, and fiercely loyal customer base. You almost always have an opportunity to connect with the primary decision-maker, because it’s often the business owner themselves. Selling to small and medium size businesses doesn’t mean smaller opportunities – it means sustainable growth, loyal customers, and a huge market potential. Interested in tapping into the massive and growing value of SMB sales? These tips and tricks will help you do just that by perfecting your sales strategy for SMB customers. With SMB sales, it’s important to engage with potential clients before you even thinking about pitching to establish trust. So, begin building relationships with SMB leads before they’re 100% ready to make a purchase. By making yourself available at the start of the decision-making process – and maintaining contact and providing value throughout – you’ll be top-of-mind when the time comes for them to buy. Sometimes, your offering simply isn’t a good fit for a particular lead’s needs, doesn’t match their budget, or they’re not interested in switching from your competitor. The good news? With over 30 million small businesses in the US, there are plenty of other fish in the sea. In fact, there are so many opportunities that you can’t really afford to waste time on leads that won’t go anywhere. That’s why it’s crucial that you develop a lead-scoring model for your ideal SMB customer. If a lead doesn’t score high enough based on your criteria, free yourself up to focus on more valuable leads. By using a framework that helps you know when it’s time to put an opportunity on pause and when to walk away, you’ll save yourself tons of energy, time, and frustration. Once you have a reliable lead-qualification process in place, you can use it to sort viable leads into priority buckets. Although you want to build and maintain relationships with leads at various stages of the decision process, you should focus the majority of your resources on those who are most likely to make a purchase in the near future. 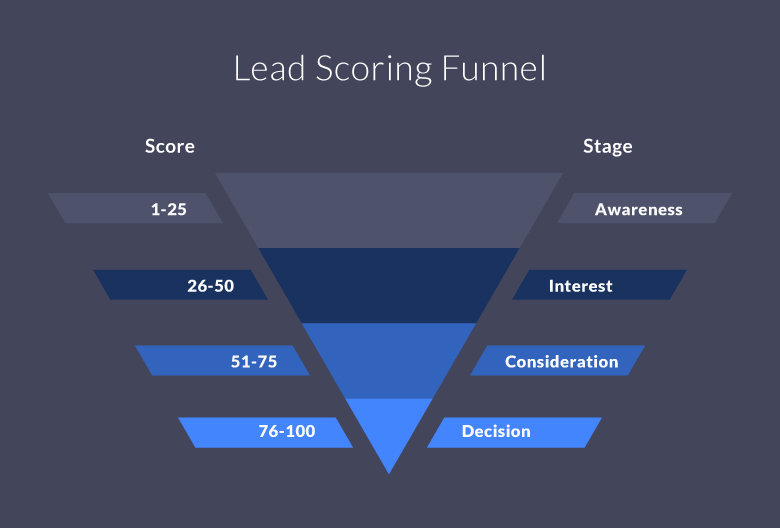 Aside from qualifying leads using your lead-scoring model, you can also look at lead source to identify which have the greatest potential to become customers. For instance, you might find that referrals have a higher probability of closing than leads found via cold calling and outreach. Regardless of what you’re selling, it’s not right for everyone – which is why lead-scoring and prioritizing your list is so critical. It’s also more efficient to sell to one specific target persona at a time. So, once you home in on an ideal customer type (i.e. someone who wants and needs your product or service and plans to buy in a reasonable timeframe), you can make your job even easier by focusing in on a smaller cohort. For instance, rather than simply targeting restaurants of certain size, target those that cater to a specific demographic or that opened a second location within the past year. The more specific, the better, because learning everything you can about a particular persona allows you to sell to them more effectively. This means you can put your resources to better use and close more deals in less time by focusing on one type of customer. Since SMB owners and team members tend to wear more hats than their enterprise counterparts, you’ll likely encounter situations where the buyer is also the end-user - and they’ll expect you to understand their needs and pain points before they’ll consider buying from you. In fact, for 74% of SMBs (those with up to 500 employees), the business owner researches new products or services themselves. Whoever the decision-maker is, it’s crucial that you tailor your outreach and pitch to show that you understand the challenges faced in their day-to-day activities. When you’re fighting to break into a new market like SMB sales, it can be easy to get caught up in the details. But an ridiculously in-depth sales pitch isn’t what SMBs want to hear. Your pitch doesn’t need to be complicated to be impressive. In fact, delivering a simple, straightforward pitch (with touches of personalization, of course) is often more effective in SMB sales. SMB customers want a solution that will be up and running quickly, with little to no effort on their part. That’s why you need to make it clear that your solution will meet their current needs without investing extra time or money building out new features. Save the customizations for bigger clients with bigger budgets and longer sales cycles. SMBs don’t have room in their budget for products or services that don’t provide real, tangible results quickly. They can’t invest in something that won’t quickly and directly contribute to their success. This means you need to sell them on the value of your offering, rather than the product or service itself. Highlight how your services or products will improve their margins and grow their business in a real, measurable way. Smaller businesses tend to be risk averse - and who can blame them? Generally speaking, they likely have a smaller pool of resources to draw from than bigger organizations. They have less tolerance for risk by design, because a few bad spending decisions can sink the entire ship. 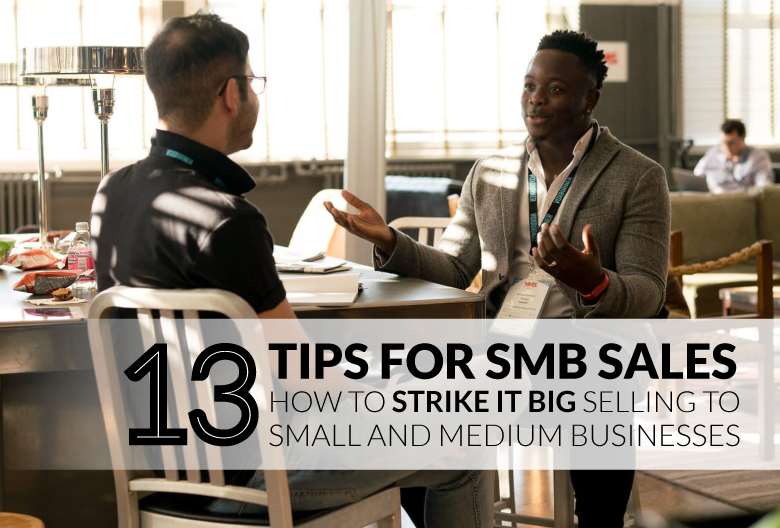 When it comes to SMB sales, you’re better off having a conversation than delivering a hard sales pitch. Listening to what an SMB prospect wants not only allows you to confirm that they’re a high-quality lead, but it also makes it easier for you to sell to them. So, take the time to talk about to their goals, concerns, ideas, and requests. Referrals are such a valuable source of high-quality leads, especially if you’re looking to break into the world of SMB sales. After all, trust is one of the most important elements in any sales relationship – and SMB owners trust their friends and peers more than sponsored content, cold calls, and pitches from strangers. For the sake of efficiency, you should come up with a repeatable sales process designed specifically for SMB sales. 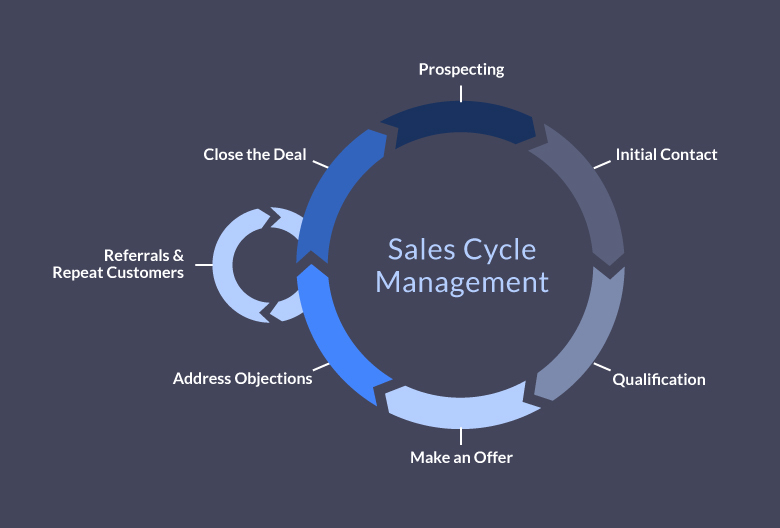 Of course, every client is different, but you should still define your sales cycle and identify the steps required to qualify, pitch, and close a sale successfully. Long-term customer loyalty comes with a slew of benefits. Not only is customer acquisition exponentially more expensive than customer retention, but repeat business can generate valuable referrals. How can you inspire long-term customer loyalty from your SMB clients? By investing in maintaining and strengthening existing relationships. Want to spend less time on data entry and more time wooing your next SMB customers? Propeller CRM is designed to help you generate new leads and manage customer relationships, so you can focus on perfecting your SMB sales process. Start your free trial today to see how Propeller can boost your sales team’s productivity.